Kitchen renovation phase 3: We can rebuild it. We have the technology. 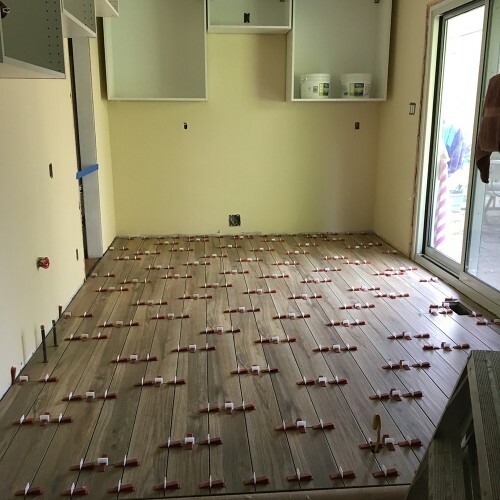 Then, new floors. Have I mentioned the new floors? 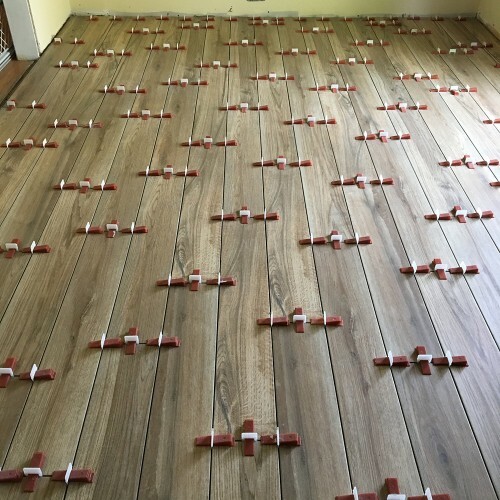 We’re replacing cheap and boring ceramic tile with lovely warm wood-coloured tile that looks like knotty pine boards. 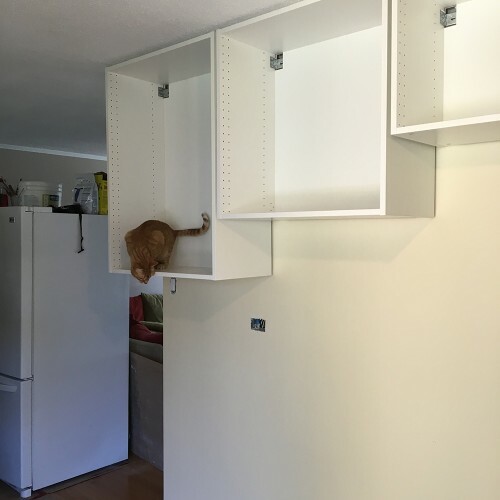 Willie approves of the new cabinets. I have to admit to being fairly ambivalent about a lot of the choices we had to make. I knew we wanted light coloured cabinets, for example, and warm accent colours. I knew we were maintaining the same basic footprint. I loved the idea of an oversized farmhouse sink and butcher block counters, both of which were incorporated into the design. The one thing I coveted above all other things, though, were pot drawers. And now we have them – everywhere! Along the way, there have been a few mistakes, miscommunications and mis-steps. The wrong sink, for example, and the wrong drawer pulls ordered. Hidden drawers overlooked. 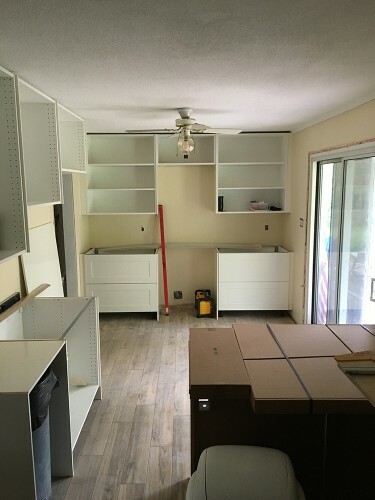 I have to say, though, with each and every one of these things, whether the miscommunication was on our side or not, the construction and design team have immediately rectified or rebuilt or otherwise worked really hard to ensure that we had exactly the kitchen we wanted. I really can’t say enough nice things about Justin Linden and his team – they have been beyond awesome at every bend in the road. When we got home from a few days out of town to find that the new microwave had been installed much higher than I had expected, I was worried about safety. The kids use the microwave regularly, and the idea of them reaching up over their heads to pull hot food out of it made my stomach clench up. All I had to do was mention it, and they pulled out the installed cupboard to insert one that fit the space better and brought the microwave down to a safer height. 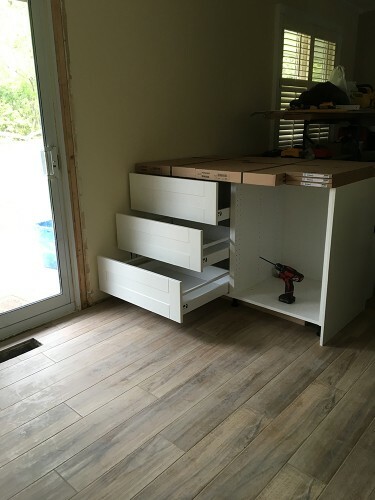 I’m wretchedly behind in my bloggy updates, and truth be told, the kitchen is actually already done. Stay tuned and maybe I’ll get photos of the whole thing in the next couple of days. Spoiler alert: it’s AWESOME! 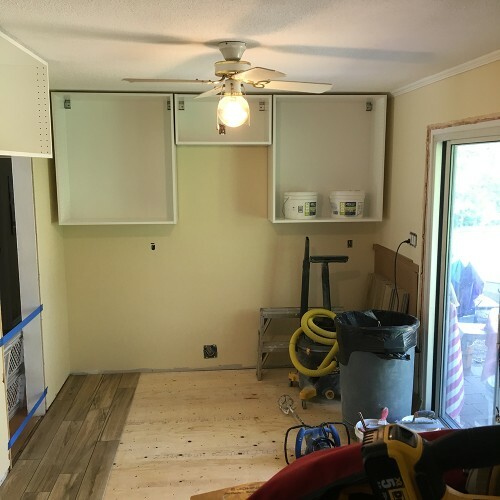 I also have a post or two to write about things we learned about executing and surviving a kitchen remodel. Bonus question: Anybody recognize the quote in the headline? It has absolutely nothing to do with kitchens, and there was no extraordinary technology involved in the renovation – but suddenly, out of the 1970s, that quote was in my head as I wrote this post. 6 million dollar man!! Lee Majors baby. Do I get a prize? So glad that you are happy about the new kitchen. I am still in love with our renovations a year later. Which took three months and are still not complete. Hoping to get a back splash this summer! And maybe some kick plates under the cupboard.